I cannot find a place where it says blocked users. Did you block someone recently and so you want to go through unblock process? You don’t need to have interacted with a user to block them. ❶ Log in to your Plenty Of Fish account. ❷ Go to the POF users profile. ❸ Scroll down to the bottom of the page and click the Add To Favorites! button. ❹ You will automatically be directed to the page that has all your favorites. 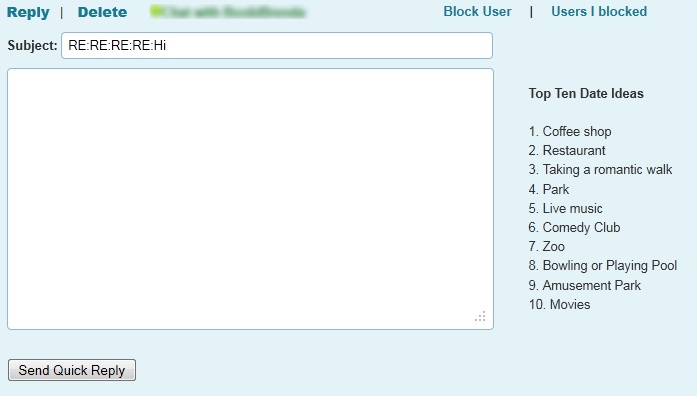 ❺ Next to the person you wish to block click the link that says View MSGS. You will be directed to a page that says there are no messages between you and that person. There will be a message textbox next to that and on the side of the message textbox there will be the link BLOCK USER. Click that and they are blocked. There does not have to be any prior conversations or interactions between you and that person whatsoever. i have a question, after you send a message to someone and then block them, would they still get my message? Thanks for your query. No, you will not receive any more messages. You are most welcome @WorldTechpedia.